Hauntingly, playful and disturbing. Those are the keywords for the upcoming Autumn Exhibition “Treasures”. The exhibition concentrates on three excellent artists, who all search for the unconscious treasures of the human being and invite you to do the same. 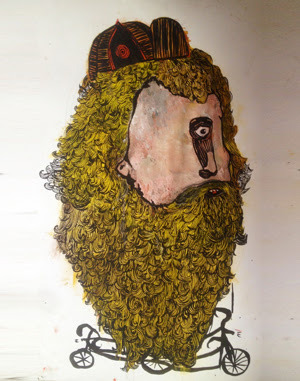 Giuditta R (IT/DK/DE), Luca Di Maggio (IT/DE) and Dorit Trebeljahr (DE) will lead you to fields of the unknown with their thoughtful, honest and authentic drawings and sculptures. The artists expose themselves in a manner which enables the process of reflection and self-awareness. Luca Di Maggio is an Italian artist in search of an equilibrium. 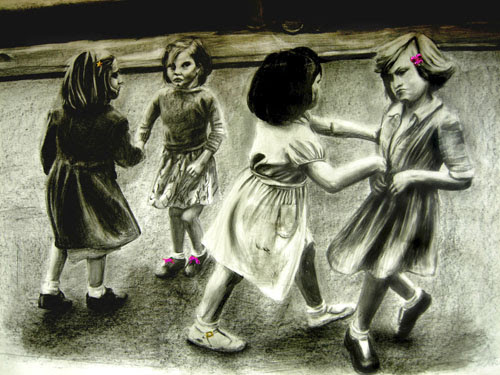 The Italian artist, Guiditta R, depicts apparently cheerful children playing and posing as on long forgotten photographs. 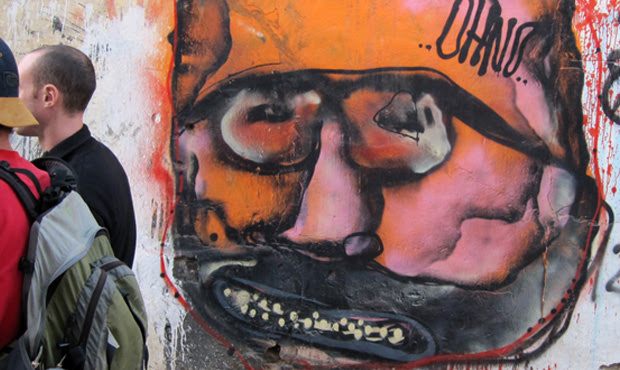 But somehow disturbing – there is more underneath the surfaces of twisted faces and black/white colors. The meeting with Guiditta’s works of art develops into a disturbing and yet alluring experience. 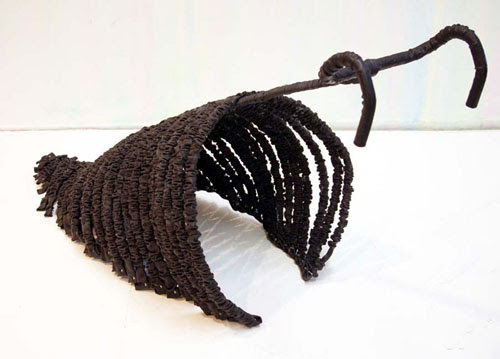 Dorit refers to her sculptures as an expression for a “poeticized search for clues, with material, with language, with the body”. According to the artist, the creations do not conform into a specific concept other than that they are all the result of playing, refering to the playfullness in all of us. The playfulness is noticeable in her creations, where she twist the viewer’s mind by asserting the used material with other images and meanings than what may be expected. We look very much forward to your visit at our exhibition opening September 3rd at 7 p.m.